Fifty different craft beers. Wrap your taste buds and beer glass around that one. It’s a beer lovers dream come true. That’s the biggest feature behind this year’s Bands Brew and BBQ at Busch Gardens Tampa. Fifty hand crafted beers, mostly local brews, ranging in flavors from your standard pale ales to Oatmeal Stout. That’s a lot of flavor to sample in one afternoon. This year the Bands, Brew and BBQ kicked off with Country band Montgomery Gentry performing, a huge selection of beer and BBQ. The BBQ was said to be from local restaurants, and they are..but not the local mom and pop places you might expect. These come from local locations of national chains like Outback, and Smoky Bones, but don’t let that dissuade you, it’s still great food. Busch Gardens also has their signature dishes out. Meanwhile Cheetah Hunt construction is in full gear with even more track in place, and some fairly detailed rock work going on. 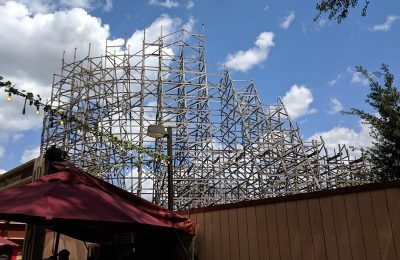 It looks like the majority of the work to be done yet is of Cheetah Run, where mostly everything as of right now seems to be missing the rock and form work. Still from a month ago, the construction is changing dramatically everyday. Throughout the rest of the park the carousel is still down, and reports say it will be until March. And if you’ve wondered about confusion of Cheetah Hunt and Cheetah Chase no worries, it’s been uncovered in a park brochure found outside of the park that Cheetah Chase will now be called…Sand Serpent. Sand Serpent? Perhaps, but it makes you wonder about the rest of the area. With the carousel down for so long and going under some major rehab will this area stay untouched or can we expect to see some more major changes? 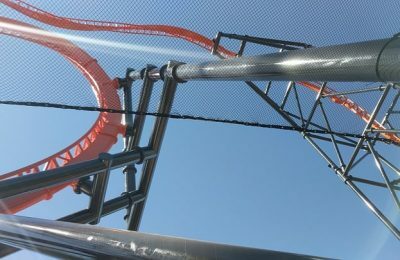 Rumors persist that there will a new addition or two in this popular area of the park with maybe some new flat rides, a change in layout and new paint. Again, these are all rumors and have not been confirmed by the park so take them all with a grain of salt. 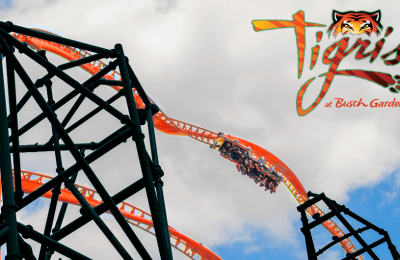 For more information about Busch Gardens Tampa visit the official website.